Renovite’s Reno-Switch is the first transaction switch designed to meet the needs of the 21st Century payments industry. Reno-Switch’s use of the latest cloud-native technology results in significantly lower pro-cessing costs than that achieved through traditional or virtual-machine based deployment approaches. Additionally, Reno-Switch supports the full choice of deployment models including in-house using standard Windows or Linux servers, or deployment in a private or public cloud from Amazon, Google, Oracle, or any leading provider. Reno-Switch puts you in full control of your cloud-migration strategy. Reno-Switch frees you from the constraints of legacy switching platforms by providing a token agnostic processing solution that utilises In-Memory Data Grid technology to maximise transaction throughput, an extensible modular architecture, and rules driven workflows that are easily adapted to emerging requirements. Renovite has the expertise and solutions to smoothly transform your existing switching platform to a 21st Century, cloud-native architecture that allows you to exploit new service opportunities and reduce your operational and application lifecycle management costs through the use of Continuous Delivery or DevOps principles. Reno-Switch has been engineered using the latest cloud-native technologies and development techniques to deliver an order of magnitude reduction in cost of ownership. Reno-Switch provides superior operational efficiency and cost of computing metrics compared with cloud deployments of traditional monolithic applications using virtual-machine techniques. This is achieved using cloud-native technologies that deliver true elastic scalability using auto-scaled modular containers for intelligent localised scaling. Changing a legacy switch can be a costly and risky undertaking. 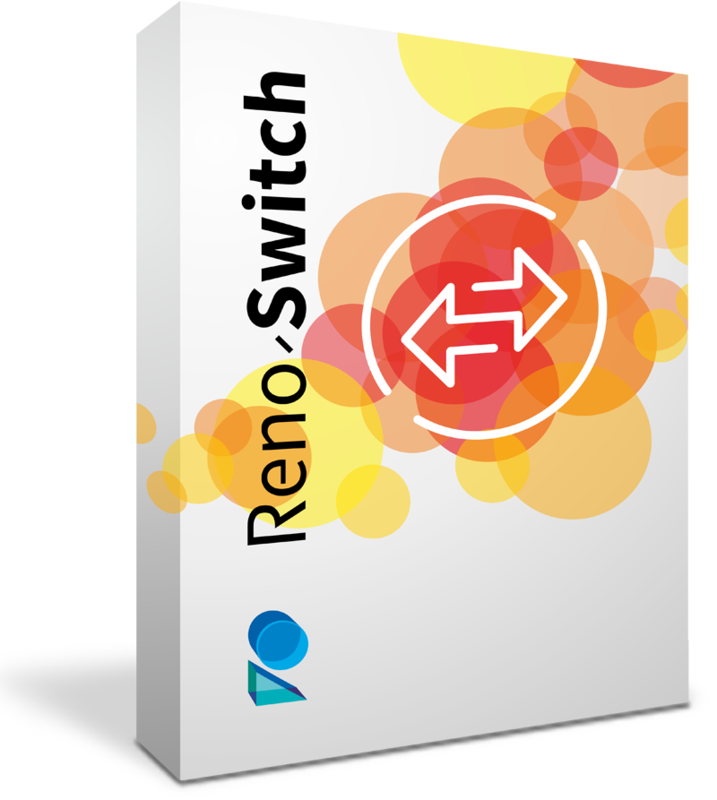 Reno-Switch simplifies this task by providing a variety of deployment options that facilitate a controlled, phased migration that is strongly aligned with the achievement of realisable business benefits. For example, Reno-Switch is ideally suited to augment a legacy switch with enhanced transaction processing capabilities while leveraging the network gateway services of the legacy switch. The system configuration parameters can all be changed dynamically and take immediate effect on runtime processing ensuring a rapid response to changing needs. In addition to the on-demand changes it is also possible to schedule future configuration changes. Significantly all configuration changes can be made without any down time so there is no disruption to business services. Reno-Switch is payment token agnostic and supports card and account-based payments. In addition to processing payment card tokens Reno-Switch also supports alternate tokens including mobile phones, email address, a Facebook ID, etc. Reno-Switch simplifies the acceptance of new payment types and the consolidation of existing transaction processing. Reno-Switch treats each transaction type as a separate business service and new business services can be added, removed, and modified without any impact to the other services and without having to bring the system down. Reno-Switch delivers the absolute minimum risk when introducing new services while maximising service availability. Reno-Switch uses a multi-layer modular architecture that separates distinctive features and responsibilities without overlap. Consequently, the message protocols, core payment workflows, transaction routing, integration and communications can all be easily extended without impacting the rest of the system. This architectural approach ensures reduced maintenance costs and an enhanced ability to adapt to changing needs. Reno-Switch uses an In-Memory Data Grid (IMDG) to standardise the interfaces between the various subsystems and maximise processing efficiency. The IMDG also stores all configuration parameters during runtime to avoid latency delays associated with database access. In addition, Reno-Switch incorporates a variety of performance features that ensure quick responses even at high volume. These features include the use of asynchronous queues, No-SQL logging, and horizontal and vertical scalability. Reno-Switch includes an integrated Drools rules engine and all rules are extensible by the customer. Transaction matching rules are provided that can use any combination of transaction data elements to identify a transaction’s type and determine the appropriate processing workflow. Any number of transaction matching rules can be created giving complete control over how transactions will be processed. Significantly, new transaction rules and workflows can be deployed without any impact to the existing transaction processing. The transaction workflows are all fully configurable using XML files and any number of workflows can be configured. A workflow can route the transactions to any number of endpoints, either sequentially, in parallel, or in mixed modes. The results received from a service endpoint can also be used to determine the subsequent steps in the workflow. Reno-Switch is a versatile payments transaction solution that seamlessly integrates with any transaction originating system including e-Commerce platforms, POS and ATM devices, networks and host systems. It performs validations, transaction matching, routing, and real-time recovery services.  Reno-Switch conforms to PA DSS and other recognised industry standards. The communications manager provides scalable and robust TCP/IP and HTTP communications. Adapters are the interfaces for all external systems and transform the native message formats to the internal Reno-Switch transaction object. Standard adapters are available for traditional protocols like ISO 8583 and a variety of modern interfacing standards including RESTful APIs, web services, JSON, XML, and ISO 20022. New adapters are easily customised to accommodate other requirements. Reno-Switch supports multi-institution deployments, multiple transaction types, multi-currency, stand -in processing, transactional security, and logging. Transaction processing is managed through highly configurable workflows and an extensible library of modules. The HSM manager provides a standardised interface to external hardware security modules and can support a mixture of HSM models. The administration portal provides access and permissions management for the configuration and operation of the Reno-Switch system.